BoA Kwon (권보아) attended the press conference of reality TV show, 'Survival Audition K-Pop Star Season 2 held on November 9, 2012 in Seoul, South Korea. 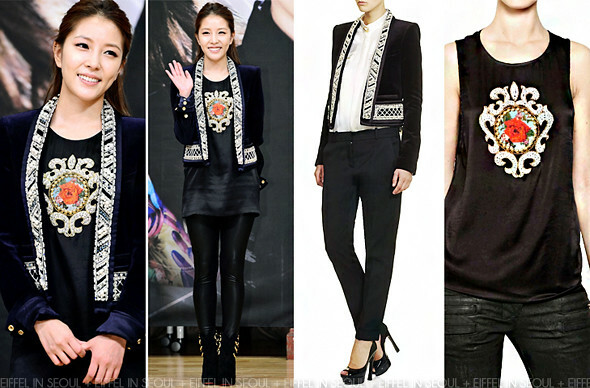 The stylish singer wore an embroidered satin blouse with a pearl embellished velvet outerwear from Balmain Fall/Winter 2012 collection. Leather tights and a pair of black boots from Suecomma Bonnie. The pieces on her looks great. However it seems like there's something off with the proportions.